Welcome to Part III in our Master Bathroom Renovation series. In Part I of the series, we showed you some of the ugly demolition. In Part II, we explained the key materials and boring/technical ideas, concepts and steps that one must undergo to build a quality and lasting bathroom. Part III is the breakdown of major costs and materials required to undergo a project of this magnitude. There will be numerous small purchases required - electric screwdrivers, screws, tape, caulking, a tile cutter, etc.. and while they will add up to a few hundred dollars, they are by far not the big ticket items. Our vendors for the big ticket products included Cooltiles, Amazon and eBay. Shipping was usually very affordable (or free) and the prices and selection could not be beat locally. This thing is crazy. 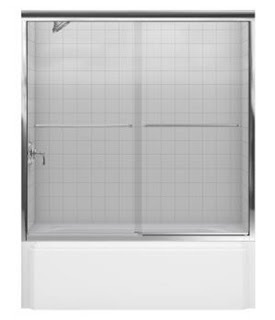 It has a rain shower head, wand with numerous massage settings, a tub spout, shaving mirror and four misting jets. The installation was super simple compared to even plumbing a normal shower / spigot combo. Plus, it looks luxurious and amazing. 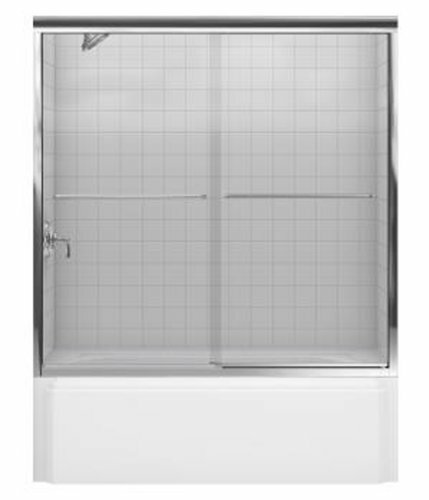 Not only does this shower door look great, but like the shower panel, it was super easy to install. It allows for installation in areas where the walls are not perfectly square and you only need a drill and a small hacksaw to install this. Going slow, it only took a few hours to install. Quite a bit of furniture these days is made in China. There are numerous factories pumping low cost but quality furniture and there are plenty of Internet-only companies reselling the furniture under different names and wildly different prices. It's very common to find the same piece of furniture at prices at two different stores that vary significantly. The vanity set we purchased came with a dual sink, vanity, mirrors, and two faucets. Unfortunately, the sink was damaged during delivery and we were unable to win the lengthy insurance claim battle. Luckily, IKEA has an affordable dual sink that just happens to fit (with only a little modification) our vanity. Way to go IKEA. This dual sink fit the vanity almost perfectly. We had to do a little cutting of the vanity, but nothing difficult. It looks great and comes with all of the plumbing you need, including the p-trap! 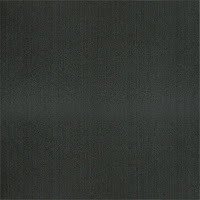 Brand: Emil Ceramica in Grigio Pepe 6" x 13"
These tiles are porcelain, affordable and durable. They are super easy to cut and work with and look fantastic. 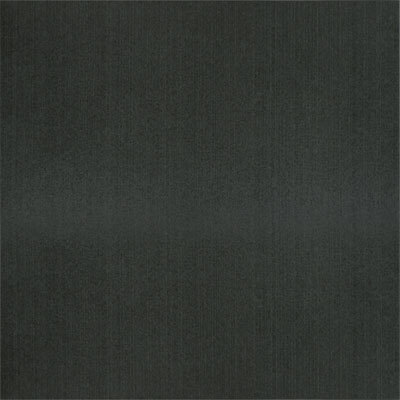 Brand: Clear View Staggered Black and Grey Mix 10.5" x 9.5"
These tiles served as a baseboard accent and an accent behind the shower panel. Make / Model: Elida Ceramica Rain 12"x 24"
We actually purchased this tile in 12"x24" pieces, not the 12"x12" shown below. 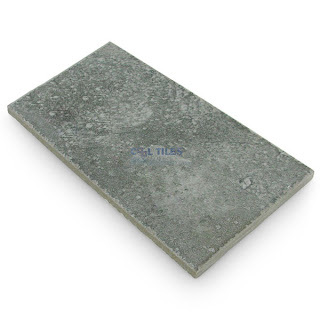 This was challenging to install as the thinset needs to be applied to the back of the tile uniformly as well as your walls needing to be very flat. Like everything else, if you mess up, try it again. Just pull it off the wall and adjust and affix it properly. We were able to "splurge" in the visible areas (vanity, shower panel, tile) as it was DIY. We received contractor quotes from $3k to $10k to remodel the bathroom using the cheapest materials available. Throwing in an extra $500 for all of the smaller materials and tool purchases, we'd like to think we came out ahead. Stick around for Part IV of our DIY Master Bathroom Renovation and you can decide!